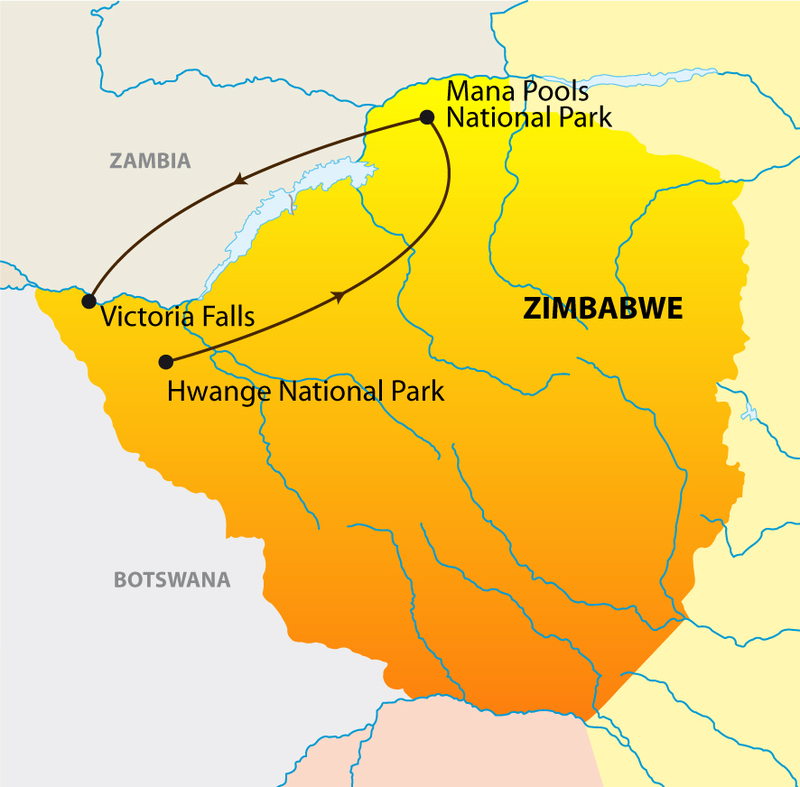 One of Africa’s best-kept secrets is the national parks of Zimbabwe, and this 7-day journey takes you to two of its best. Hwange National Park is known for its vast elephant herds that roam across the seasonal flood plains along with many of Africa’s other wildlife. At Mana Pools, you’ll have time to watch great concentration of animals at the Kanga Pan as well as follow the predators through Mopane woodlands as they hunt the resident antelope. Staying in wonderful camps, each with elegantly furnished, en suite tents and serving mouth-watering meals, every day is a game viewing adventure either by safari vehicle or on guided bush walks. During the next 2 days spend your time enjoying exciting game drives each morning and evening to see the Park’s many animals including the Big Five. 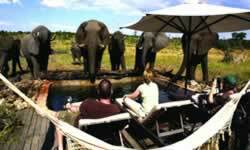 You also have the opportunity to take guided walks as well as spend time game viewing from hides. The chance to track game on foot is a rare experience in Africa’s national parks but at Mana Pools visitors can take a walk through the bush with an experienced professional guide. Besides daily game drives, you can canoe through along the inland riverbeds and pans through this park that has huge concentrations of game on its floodplains. After a final morning at Mana Pools we transfer you by light air craft to Victoria Falls Airport for your onward travel arrangements.